How is the island sustainable? How can our food choices make a difference? Island Grown Schools Service Learning Unit: This unit serves as a guide for mentorship opportunities led by IGS at the high school. It can be used as a quarter-, semester-, or year-long curriculum tied to issues of the food system. 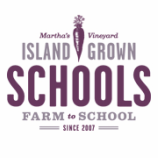 The goal of the mentorship is to provide hands-on experiences to students that connect them to the island community through growing, harvesting, and distributing local food, and through educating others about our food systems.